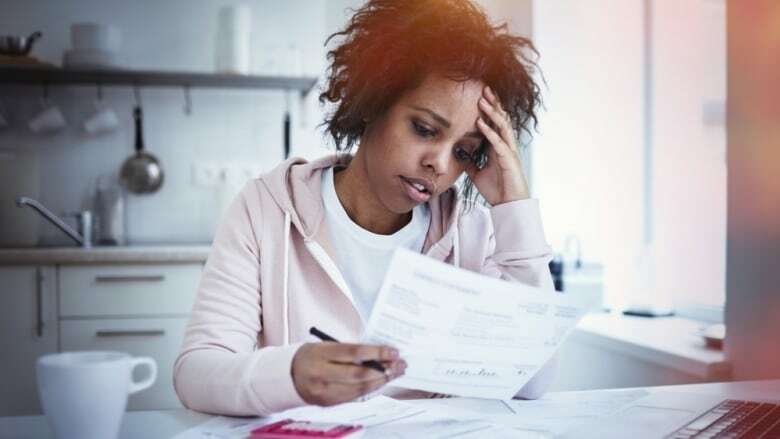 Nearly half of workers are living paycheque to paycheque due to soaring spending and debt levels, a new survey by the Canadian Payroll Association suggests. The poll found 47 per cent of respondents said it would be difficult to meet their financial obligations if their paycheque were delayed by even one week. The survey, which polled 4,766 Canadian employees between June 27 and Aug. 5, also found that 35 per cent said they feel overwhelmed by their level of debt. For the first time in the survey's nine-year history, more respondents found mortgages on principal residences the most difficult debt to pay down, with 32 per cent of respondents selecting this option compared to 23 per cent who cited credit card debt. Results from the poll indicate the primary reason for increased debt is higher overall spending. Of the major reasons for increased spending, 32 per cent of respondents pointed to higher living expenses while 25 per cent mentioned unexpected expenses.